What are the Risks in Long Distance Driving? 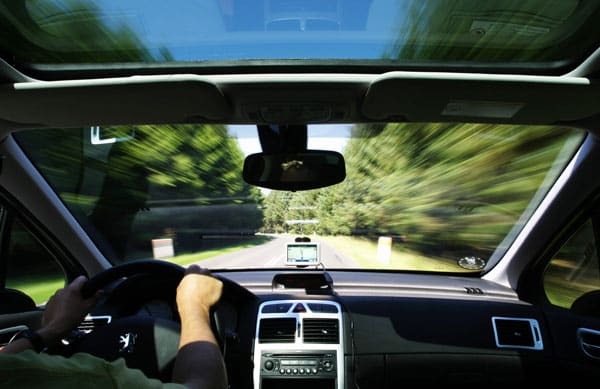 > Blog > What are the Risks in Long Distance Driving? Long distance drives are quite common. It may be due to family get-togethers during the holidays, it may be due to moving to a new house in a far away city than the place you currently reside in, and it may be due to a variety of other reasons and circumstances. Roadside emergencies – running out of fuel in the middle of nowhere without a gas station in sight and with no cell reception can be a daunting experience at best. Moreover, driving over many miles means you’ll get to travel both great roads and, unfortunately, roads that offer a poor driving experience. This can result in a flat tire or any other mechanical failure. The best outcome is lost time and wasted money. Worse outcomes can include injuries and the like. Accidents – after a couple hours of driving anyone can get tired. When you’re tired reflexes are less sharp, concentration is damaged, and judgment is impaired. Under such circumstances the chances of getting into a car crash significantly increase. And even if you’re doing great, you’re not alone on the road. There are others drivers out there, not all as responsible as you. Some may be inebriated, some overcome by fatigue, and some, simply with poor driving skills. The point is that the longer you are on the road the greater your chances of getting into a car crash. Personal health – sitting for hours on end can actually cause blood clots and create serious health implications. Blood pressure, lightheadedness, and the like, can be quite dangerous while driving. Blood clots are especially dangerous and pose a greater threat to certain people, like those taking birth control pills, obese people, etc. Getting lost – most of us are not professional drivers, and even when using GPS navigation systems, can lose our way. This can result in a simple waste of time and money, but it can also lead to more dire results. For those who are looking for ways to avoid these dangers, the answer is simple. Long distance towing services offered by professional, certified, and reliable service providers make for a great alternative. Why take the risks yourself when you can hire a professional, fully equipped driver for the long haul? Nowadays, we hire professionals to do so many other things for us, long distance driving or towing by professional service providers is no different.